You might recall that I have previously mentioned NSPA Beauty on here - I had the chance to give some of their products a try a couple of years ago, and today I'm back with a new routine I've been testing out and wanted to fill you in on! A few of these items are unlike anything I've tried before, so I was apprehensive to see how well they would work on my skin. What is really neat about their line is that you can easily create your own custom routine as they divide their face products into 4 categories: Step 1 - Cleanse, Step 2 - Exfoliate, Step 3 - Treat and Step 4 - Moisturize. I picked one product from each, namely their Deep Cleansing Face Wash*, Hot Cloth Polish*, Radiant Flash Serum* and Youthful Eye Cream*. Has this new routine been working for me? 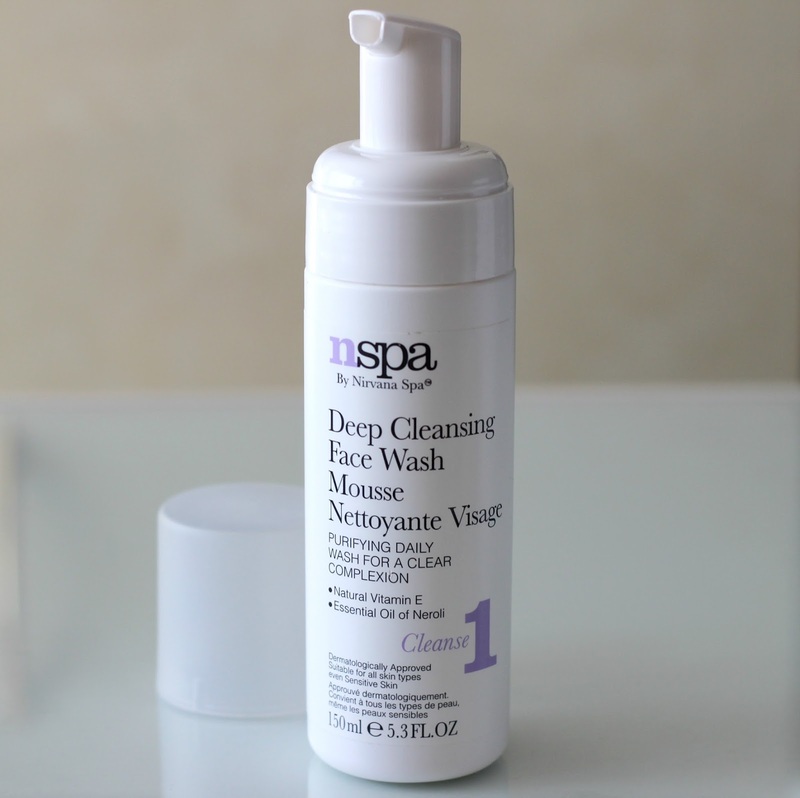 The NSPA Deep Cleansing Wash is a purifying mousse that comes with a pump dispenser. It contains vitamin E and neroli and citrus essential oils, among other distinguishable ingredients to help remove impurities. It does a decent job at removing the rest of my face makeup after using a towelette, and despite not having the best ingredients (i.e. it contains SLS and perfume), it doesn't irritate my skin, although the scent is quite strong and something I am not very used to anymore. It is still paraben-free and said to be suitable for sensitive skin and also dermalogically approved, so it comes down to personal preference on if you feel comfortable giving it a try. 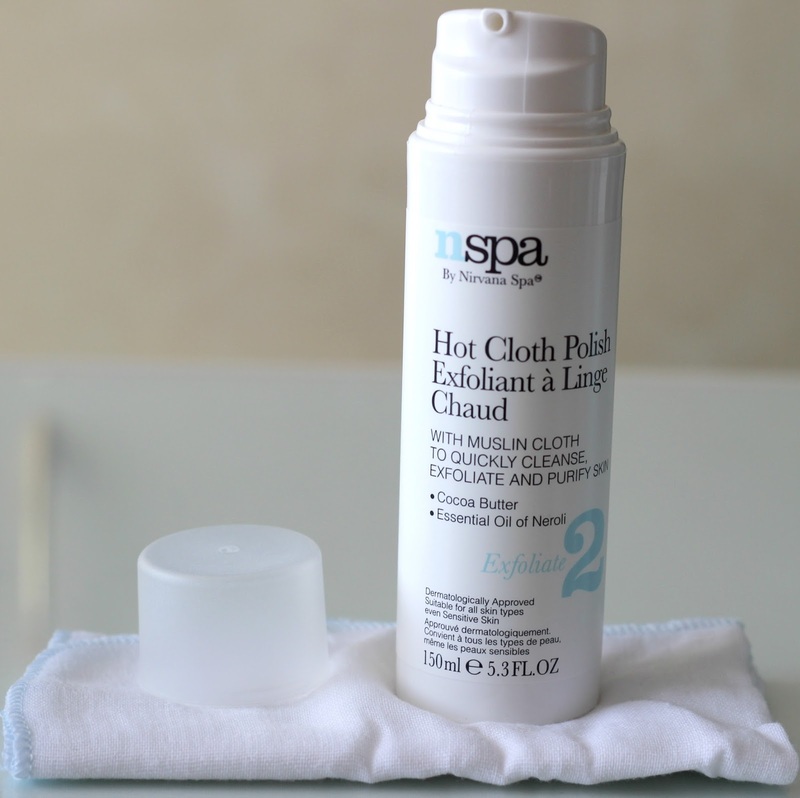 The NSPA Hot Cloth Polish is really neat - it comes with a 100% cotton muslin cloth to help exfoliate and polish your skin. To use, you basically apply a pump or two of the cream onto your hands and massage it in circular motions over your face and neck. Then, get your muslin cloth wet with hot water, wring out any excess and gently wipe away the product, avoiding your eyes. That's it! I wash my muslin cloth properly after every few uses to avoid bacteria buildup. This product contains cocoa butter along with a handful of essential oils, but again is not completely natural and has a strong scent. 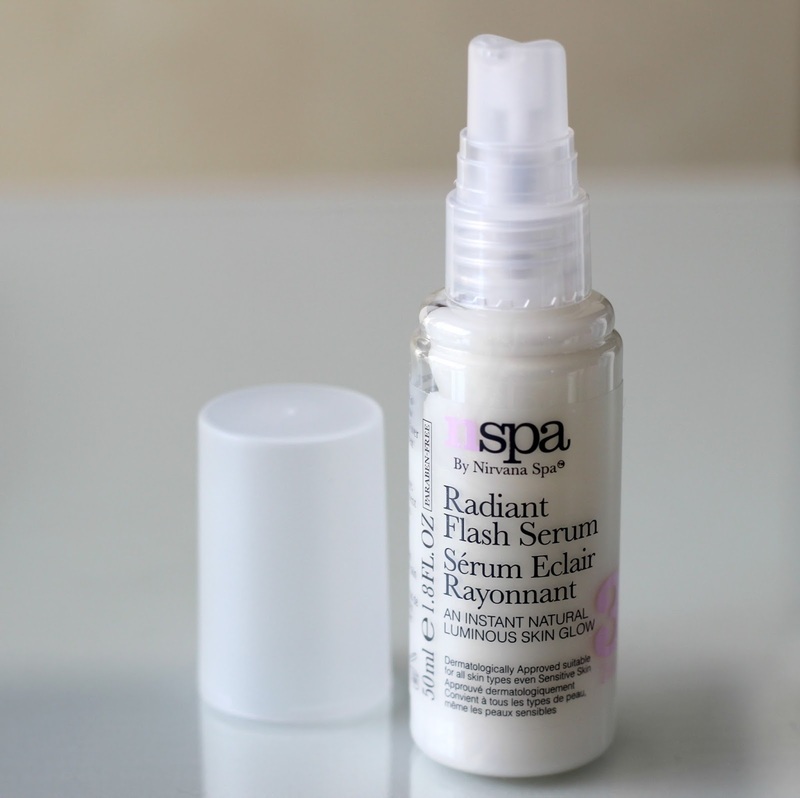 The NSPA Radiant Flash Serum is also something I haven't previously come across - it appears to have gold shimmer in it to really make your skin glow. When I first realized this after pumping it on my hand, I really wasn't sure this would look good and was kind of scared to put it on my face. I did for the sake of it - and thankfully it is quite subtle. It can be used under makeup as well, and could also work to highlight your body, such as your shoulders or collarbone to make your skin extra glowy during the warmer months. It contains maca root and a few other oils and has a slightly lighter scent than the above products. 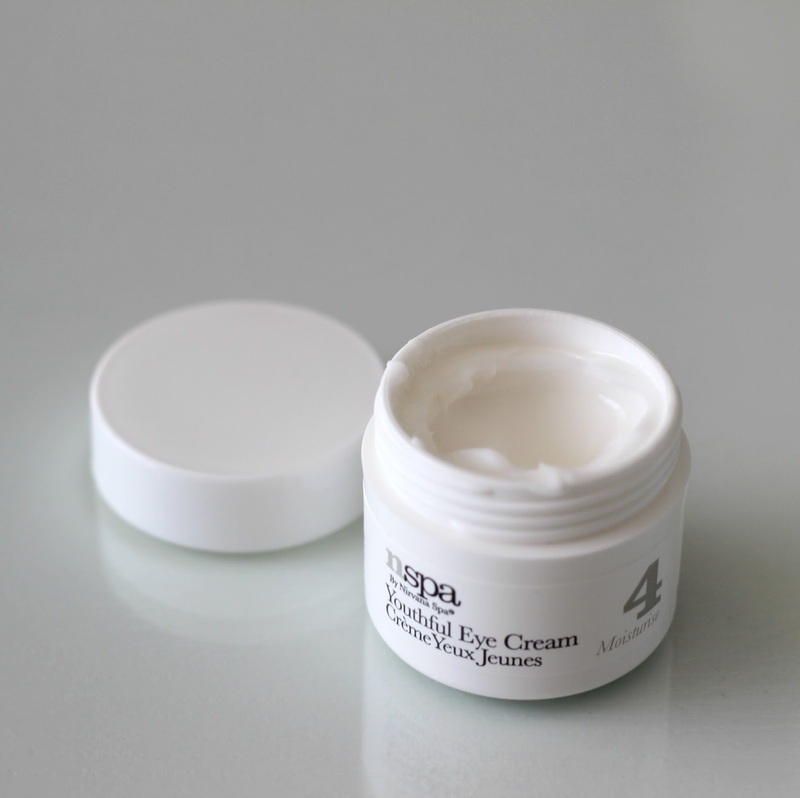 The NSPA Youthful Eye Cream doesn't seem to have any fragrance after inspecting the list of ingredients and smells unscented to me, which is a relief since it goes on a very delicate area of the face. The cream is on the lighter side and sinks rather quickly, which is what I prefer in eye creams. I just dab a tiny amount around the contour of my eyes and gently massage it in. It contains oils and fruit extracts to moisturize and brighten and is said to lift the skin for a more youthful appearance. This would have to be my favourite of the bunch because I love the consistency and it doesn't cause any irritation. Interested in giving some of these a try? NSPA Beauty can be found at Walmart in Canada. What is your favourite affordable skin care brand? I am 16 years! 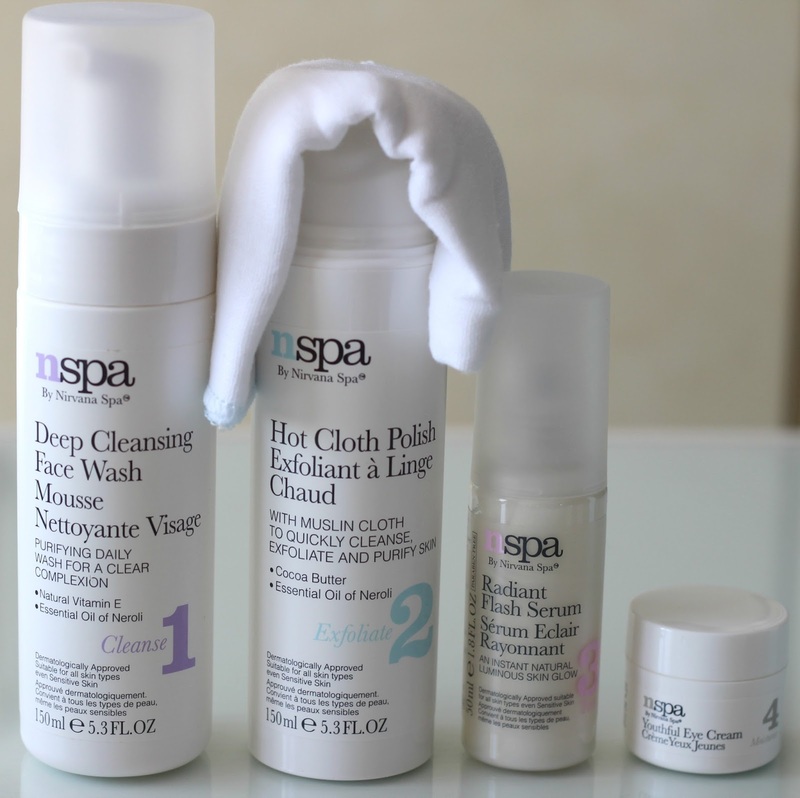 Can I follow these steps with nspa products ?